Water can be gauges to see whether it has soft or hard qualities. Most waters measures somewhere between the qualities of soft and hard. If you soft or hard water, you can easily notice some of the effects. Soft water usually makes it slightly more difficult to get soap to later and to rinse it from the skin when showering. Hard water signs include mineral deposit accumulation around sink faucets and knobs, or either mineral deposit left inside of pots and pans are you boil water inside them. The best way to gauge if you have hard or soft water is to conduct a test and have a profession assist you in your ascertainment. Here is how to tell whether you have hard or soft water. Look on your current water bill or find your city’s official website for the contact information to your water supplier. Contact the municipal water supplier is you do not have well water and your water source comes from the city you live in. Contact the municipal water supplier in your city if your water is supplied by the city. They can give you direct information and tell you whether your water is soft or hard when you pose the inquiry. If you have well water you can reach out to your local extension office. They will charge you a small fee and will test your water source. You will receive a complete report on your water source’s overall quality and hardness. You can search online or locally for a water hardness testing kit. Some hardware stores may carry the water hardness test. Follow the manufacturer’s instructions when you start to test your water source for hardness or softness in order to ensure accurate results. Once you have gathered your results, use the U.S. Department of the Interior and the Water Quality Association’s classifications and standards to interpret the quality of water. The report you will make should be documented in milligrams per liter (mg/l), parts per million (ppm) or grains per gallon. 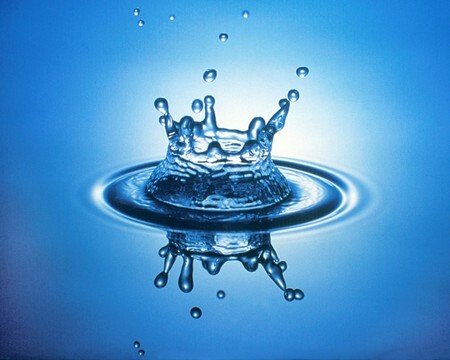 Soft water levels fall between 0 and 17.1 mg/l and ppm or between 0 and 1 grains per gallon. Slightly hard water falls between 17.1 and 60 mg/l and ppm or between 1 and 3.5 grains per gallon. Moderately hard water falls between 60 and 120 mg/l and ppm or between 3.5 and 7.0 grains per gallon. Hard water falls between 120 and 180 mg/l and ppm or between 7.0 and 10.5 grains per gallon. Very hard water is classified as anything over 180 mg/l and ppm or 10.5 grains per gallon.